So Our Big Un is now under way and I wanted to share my process. 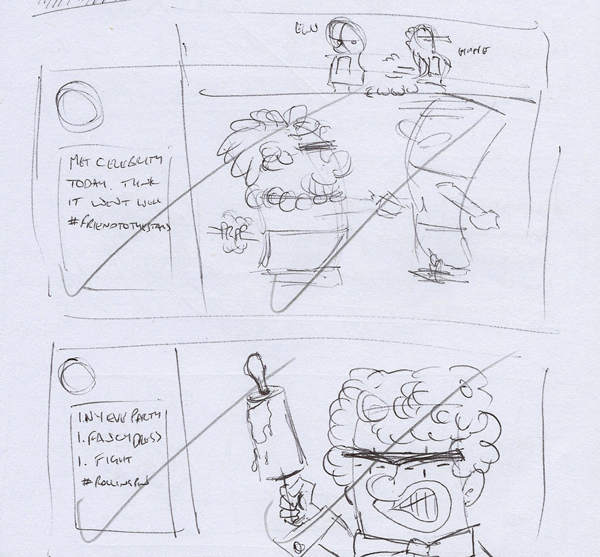 Firstly, with this strip I tend to scrawl out a quick idea in my sketchbook, make sure it works (or doesn’t). I then move to digital. Sketch it out in Manga Studio. Hope you enjoyed this little insight into my process into making an OBU comic strip and thanks for looking. You can keep up to date with my works in progress etc mainly over on Instagram, Twitter or Facebook.